Have you ever wondered how those big fax machines work? If yes, then we have the answer for you. Fax machines have been around for more than a century and have constantly been evolving since then. They are less bulky these days and there are also substitutes available now that use internet connections and not telephone lines. These are called electronic faxes. When staying in touch and instant connectivity is the norm of the day, a fax is a better option than sending a courier or snail mailing someone. Even in some remote places with poor internet connection, a fax machine exists and flourishes since a telephone network has a better infrastructure in these remote areas. If you are clueless about how these machines work and how does the photocopy of that particular important document reach the recipient located hundreds of miles away within minutes, then read on. The following section seeks to answer all your questions in the simplest language. A brief knowledge about how the fax machines worked in the olden times will be both interesting to read as well as help you understand modern fax machines better. Earlier on, there used to be a rotating drum onto which the paper or the document to be wired was placed, and photo sensors would get into action by trying to convert the print into tones that could easily pass through telephone signals. Remember, that we speak through a telephone, so sound travels easily through long distances. This principle is fundamental to every fax machine. On the receiving end was another teleport that converted the tone which was measured in ‘hertz’ into visual dots or print. Modern day fax machines work on the same principle of a photo sensor converting the visual print into tones that another sensor in the receiving end detects. The black and white dots still form, but the rotating drums are a thing of the past. 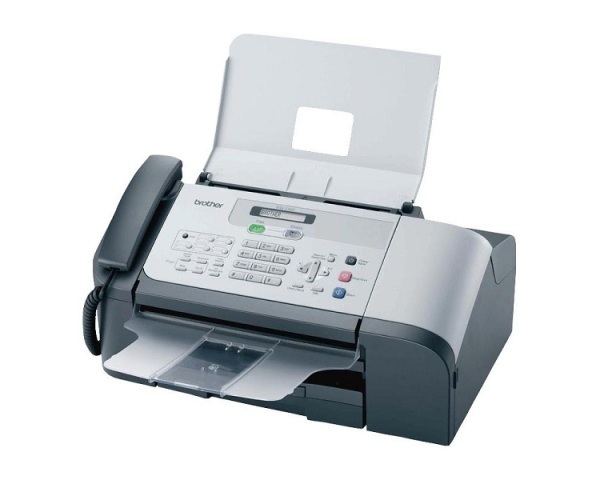 Modern fax machines have paper feeding machines for long document and coloured printers for the documents that have coloured images. The photo diode sensor arrays are the good guys that convert the information into black and white dots. Even if the fax machine that is sending the information is more advanced than the fax machine at the receiving end, the document is transferred easily and without any damage. For example, if the fax machine does not have a coloured printer, then the only difference in this case will be that the document will come out in black and white. Nevertheless, the important message will still be received. So now that you know how the fax machine works, you should know how to send a fax and receive a fax as well. The important things to keep in mind when you are sending your fax is to fill up a sheet with the details like the fax number of the sender and the recipient and the number of pages of documents you are sending and a short message which is like a message heading. After you dial the fax number, wait for the ‘handshake’ tone. If you are at the receiving end, check if the toner is working and see if the printer has enough cartridges. Also remember to check if there is sufficient paper in the machine. Do not pick up the phone if your fax machine is attached to a phone; instead, wait for the ‘handshake’ beep. With the above information you should have no problem with those big fax machines that make work easier for all of us.